Yesterday, while I read your very helpful suggestions and began to sort my fabrics by color, I looked across the table at all the colorful piles and I decided to begin my destashing with rainbow bundles! Each bundle will be $8, weighs at least 5 oz, and contains eleven to fifteen different designer quilting cotton fabrics in cuts measuring on average 9" x 11" or more. I plan to share this detash on my Instagram at 11 am EST today. I will share my rainbow bundle photo above, with the amount of bundles I have available today, and ask that those interested simply leave their paypal email address for me to invoice. All bundles will be shipped first class with tracking at $3 for USA residents and first class international without tracking at $6 per package for those in Canada. I'll continue to destash MANY more rainbow bundles, color bundles, volume bundles, designer/collection bundles (mostly AMH), and scrap bags, as I get them ready throughout the next couple of weeks! Ok, I have been avoiding Instagram like the plague. I just have toooooo many other stuffs going on ....... but today I succumbed. It's all your fault. LOL. Only on Instagram? Bummer!! Maybe next time you can do a Facebook destash?? I know FB has more rules though. Wishing I was in the US not far far away in Australia right now. So many beautiful fabrics. Hope your clear out helps you to feel inspired rather than burdened by your stash. MC this is fun. I want 2 of everything you sell, I dont care what colors, size or whatever.. 3 and if I see something I will add to it. This will be fun, Pay Pal me funnymesjc at gmail dot com. I put it on instagram. They might go fast... Good for you and thanks for the heads up! 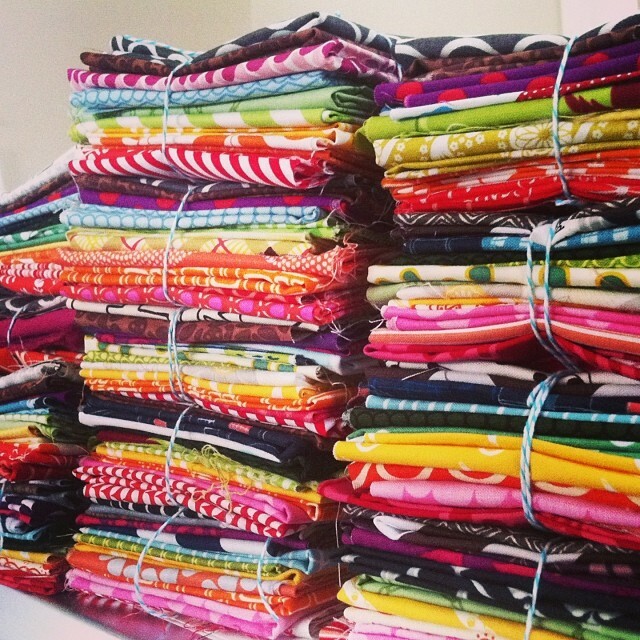 Do you have any fabrics that would be good for I Spy quilts? Bummer, I don't have Instagram! Lovely! No pressure, but I'm waiting for these on instagram like waiting for lottery tickets ;). Just got in :-). Thanks Maureen! That was fun! :) I could almost feel the on-line jostling of me trying to beat out the rest! Bummer,not on Instagram. Computer hates it. Great idea though. Wishing I was on instagram. BUMMER. Maybe sell some on your Etsy shop. I've purchased bundles like this from other quilters and have been very happy. No instagram here either. Enjoy your fabrics everybody! The bundles were gone in much less than 5 minutes. I had forty this time and was wiped out of some colors. I will have more bundles by color to sell soon. I might reserve a certain amount to sell here on my blog if I can, so those without Instagram have a chance. Thanks! HEY GIRL?WHAT IN THE WORLD ARE YOU DOING CLEANING HOUSE? Hope it went well...not on Instagram and since I'm at work during the day, could only check sporadically if I were! I subscribed to Instagram just for this! Now I'm having fun taking pictures of my grandsons. Terry, the sale was on my Instagram at 11 am EST today, I explained in my post above. The 40 bundles I had for today sold out in less than five minutes! But I will have more color bundles to sell soon. I got Instagram, but can't figure how to add you. I'll keep working on it. Not an Instagrammer either - any chance of doing something for the rest of us? I want some but don't do instagrams, use my time to quilt. Can I do it thru email? No instagram for me either .... I just don't understand it and I'm too old to learn. I'm needing purple, any shade of purple, lavender and etc. Need to make great granddaughter a big girl bed quilt and she's a purple (of any shade) girl. Is it possible to get from you? I'd also take your rainbow sets too plus volume. I'm crazy for AMH fabrics. Can't wait to hear from you.